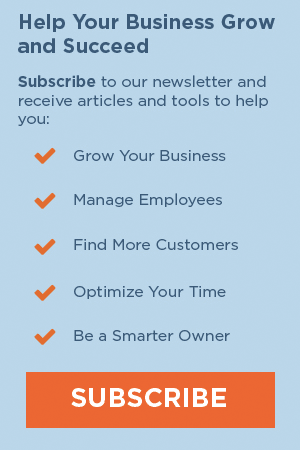 Small Biz Ahead, brought to you by The Hartford, is a digital destination where you can discover insights and advice to help you manage and grow your small business. We scour the web to bring you current, relevant content from well-known publishers and combine it with our own original content on topics such as talent management, technology & innovation, and risk management. It’s all designed to help you and your small business succeed. 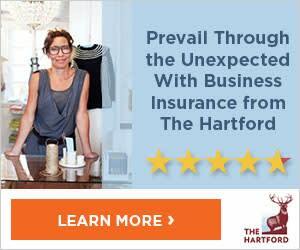 The Hartford applauds small business owners. You are the visionaries of this country. You are the backbone of our economy. You are the creators of jobs. Fueled by a vision for the future and a passion for hard work, you have borne the risks to forge your own path – to define success on your own terms. You take pride in the service you provide to your customers – it’s part of how you distinguish yourself – and you expect the same from those who serve you. You are an integral part of your community. Employees are like family. You’ve built a business to the point where it merits protection – an accomplishment that deserves our respect and recognition. At The Hartford, we admire the men and women who start and operate small businesses —and we seek ways to promote their growth and prosperity. We know that owning and operating a small business is inherently risky – and we are committed to doing our part to mitigate and minimize the financial and emotional impact of unexpected loss. We understand that every business is unique, and we develop insurance solutions tailor-made for the businesses we protect. But most importantly, we understand that when we protect small businesses we are protecting livelihoods and legacies. When you choose The Hartford, you choose a company that seeks to earn your trust and confidence with every interaction – a company that will be at its best when you need us the most – a company that has been making and keeping its promises for more than 200 years.